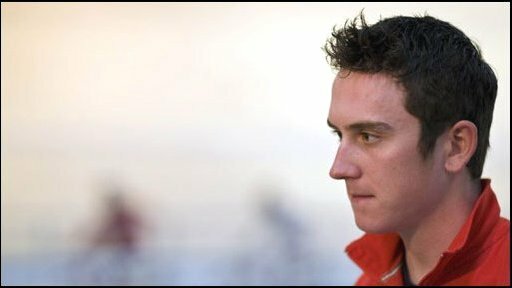 British cyclists Geraint Thomas and Mark Cavendish face trials to take part in Beijing's 4,000m individual pursuit. Welshman Thomas has been picked for the team pursuit and Manxman Cavendish for the madison but either could double up. Former Olympic champion Chris Boardman told BBC Sport: "Geraint's chances in Beijing are phenomenal. "Geraint keeps surpassing people's expectations, he's an invaluable member of the pursuit team and can have a good shot at the individual pursuit." Boardman struck gold in the individual pursuit event at the 1992 Barcelona Games and is now part of the Team GB's cycling backroom team. Great Britain coach Shane Sutton says 22-year-old Thomas's world-title beating time in training has caused him a real selection headache. Sutton's initial plan was to place Cavendish - who partners Wiggins in the madison relay - in the individual pursuit. Thomas's exceptional times in training have forced cycling chiefs to have a re-think, although the final of the individual event is the night before team pursuit qualification. Thomas - who team bosses say "doesn't realise how good he is" - will now race off with four-time Tour de France stage winner Cavendish for the second GB berth . Aussie Sutton added: "The problem was we trialled Geraint in training as we looked ahead with the youth element we have in the squad and believing Bradley Wiggins probably wouldn't be around in 2012. Can young Geraint strike gold in Beijing? "Then Geraint clocked 4:17mins, which is a pretty phenomenal ride considering the world title was won with 4:18mins. "Bradley's the big player and it even turned his head that day to see that time. "Now we really do have a selection dilemma for the individual pursuit and we're not going to make a decision until 24 hours before the event." Thomas was the youngest rider at last year's Tour de France but proved his huge potential on the track when the Cardiff ace was part of the GB team that won back-to-back World Championship crowns. 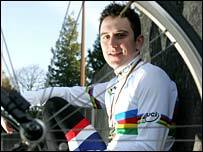 Thomas also won bronze in the points race at the 2006 Commonwealth Games and Boardman acknowledged: "His problem is that he can do too many things! "Whether or not we pick him for the individual pursuit as well as the team pursuit is a real dilemma. "It's fantastic for us to get people at a young age being mainstays of team events because it means we have a great future - so we're happy with him." Cavendish pulled out of the Tour de France after 15 stages, having become the first Brit to win more than two stages in a year in the prestigious event. Wiggins said: "Cav's performances were no surprise. If he had stayed to the end in Paris, he would have won five stages. "He has come out at the right time, and he has got the best part of four weeks to get himself right. He will be ready to go, definitely."